Was lost in the mail, but has just arrived. March 11, 2011. We can no longer forget this date. It was the day that Japan, the land of earthquakes, was struck by the largest ever recorded earthquake in Eastern Japan, by the Tsunami that came soon after, and the catastrophy at the Nuclear Power Plant. The term “shaking one’s value” never felt so real. Our lives are limited in time. Then what can each of us believe in, pour our energy into, to maintain the strength to go on. When things fall apart, new things are born. The whole experience reminded me of how vulnerable we are. How our security is illusory and how things change constantly. There is the awareness of just being born, as well as the hesitation, concern and fear of having encountered a situation we have never experienced before. While experiencing these moments so full of fragile emotions, I also felt the joy and preciousness of sharing time and being with someone I love. Moreover, even in this kind of situation, I adored the excitement of being in the moment where new expressions were being born. IMA KOKO was the motivation to start “here and there”. 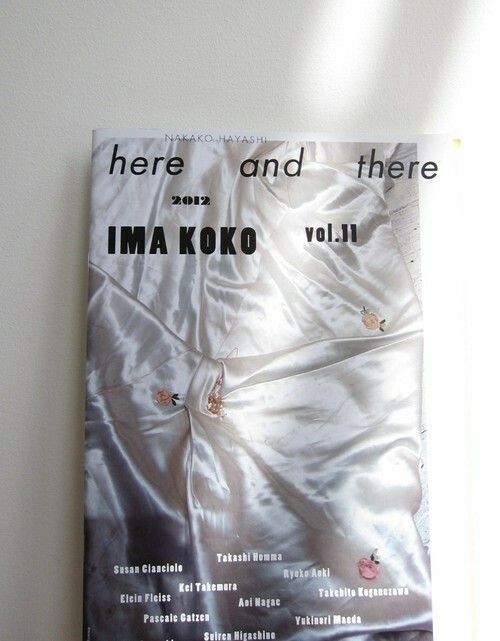 In Japanese, IMA is now and KOKO is here. In times when it was difficult to believe in things, I wanted to focus on “now” in the present tense and “here” in the present location. Since I couldn’t find the right equivalent in English, I decided to incorporate the two Japanese words IMA KOKO to function as a key for this feature. 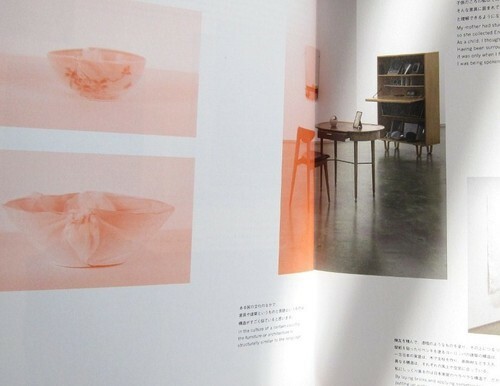 As this issue is released in the summer of 2012, I asked friends whom I had exchanged ideas with, artists whose exhibitions I had visited and writers whose books I had encountered, to collect their thoughts on “now and here”, with the hope of picking up the words that were just being brought into this world.